A PETITION calling on Shetland Islands Council to re-instate full ferry services at weekends is gathering momentum. One of the organisers behind the campaign, Anita Sparrow, said a lobbying group was also in the process of being set up to help alleviate what she described as a “desperate situation”. The petition the island has faced “unprecedented levels of disruption” since the second ferry, Hendra, was removed from the weekend sailing. The situation is exacerbated by a shortage of spaces available to book on ferries as many travellers book a space and then never travel. Weekends, she said was often the only time that people would want to travel off the island to see family or attend sport events. In addition many people were working at weekend, and a separate weekend timetable was not really appropriate any longer, she said. “The unreliability of this service has become particularly acute in the last three months, causing severe disruption to commuters, the local community in general and to tourists,” the petition reads. 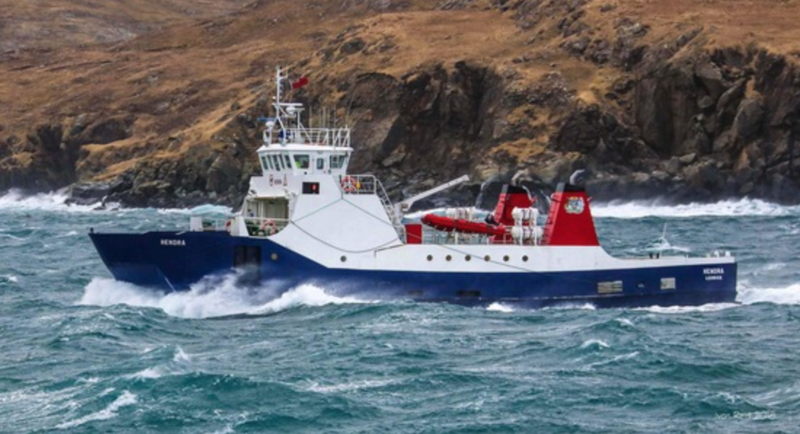 “Whalsay residents cannot wait any longer for improvements and believe Shetland Islands Council should act now to restore this lifeline ferry link.